Openn Negotiation is a new online method to buy and sell property. The process allows qualified buyers to see all competing bids, giving all users, including the vendor, complete transparency of the price. ‘Transparency when selling’ sounds like a great concept, however does it actually help get the best result for everyone involved? The best people to ask are those who are first-time users of Openn to share their thoughts on their experience. A recent sale in Floreat, Western Australia was one such a sale where Openn Negotiation was chosen as the selling method. In a market which is cooling, auction clearance rates are falling and days on market are rising, real estate has looked pretty grim, especially when compared to the results achieved only a few years ago. Brad McEwen from Realmark was the agent chosen to sell the 4-bedroom, 2 bathroom house and decided to list it using Openn Negotiation. Real Estate agents have copped a lot of flack over the years from the public due to a lingering distrust in the sales methods agents have used, specifically in the agents inability to give buyers proof around the price to offer so they can avoid missing out or overpaying on a property. Helen was in the market for a new home and had her eye on the house at Floreat. 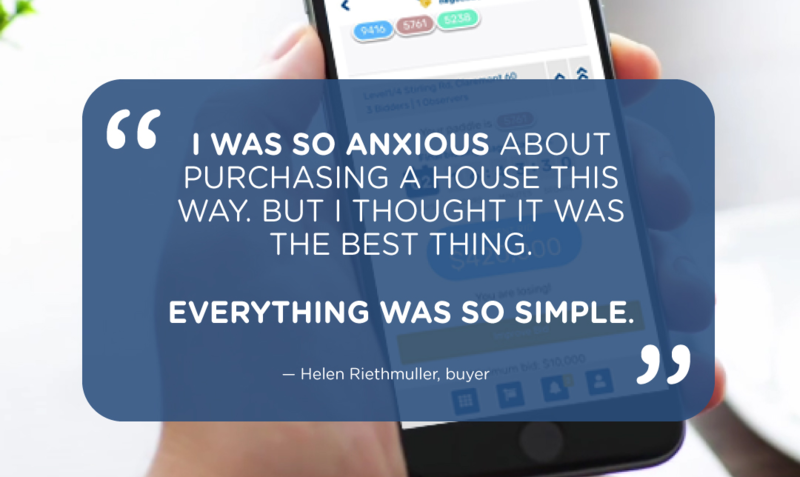 Upon speaking to Brad, she was told that the sale was being done via Openn and was initially nervous and reluctant. “I just wanted to make an offer like I had in the past,” Helen said. However, shortly after Brad explained what was involved and she watched the introductory YouTube clip, she warmed up to the new method immediately. Admitting that she isn’t very tech savvy herself, she found that it was so self-explanatory, and the process happened with ease. “I thought the process was very simple. I loved it! I was so anxious about purchasing a house this way, but I thought it was the best thing. The video was a massive help; I watched that twice before the auction. The agent too was great and paused a couple of times to chat so that was also very helpful. With 7 registered bidders and a spirited 34 bids placed, the home went for an amazing $1,340,500, selling in just 19 days on market, compared to Perth’s recent average of 74 days, according to REIWA. Given the average results being achieved by auctions and private sales around Perth, this sale was a refreshing change, with agent, buyer and seller all very pleased with the outcome. Openn Negotiation is a revolutionary online property purchasing method designed to be transparent and fair for both buyers and sellers. Managed by professional real estate agents, it allows pre-qualified buyers to openly negotiate on price with the advantage of knowing exactly how many real competing buyers there are. To find out more, sign up for Openn Negotiation today and become an Observer to see the process in action for yourself. All users now get five free observer tokens!